Review options before cashing out your retirement plan. 1. 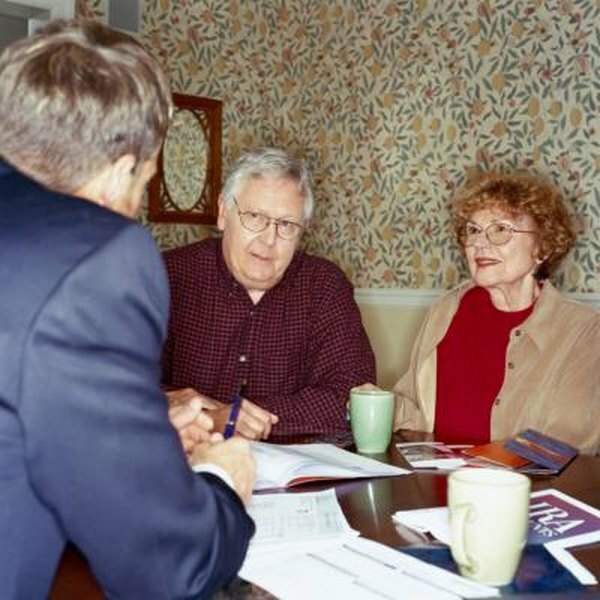 What Is a Taxable Distribution From a Qualified Retirement Plan? 2. Can I Withdraw From My 401(k) if I'm Retired but Still Working? Cashing out your retirement plan, whether to take a long vacation, make a major purchase or to pay for any other expenses, is possible, depending on your plan. Doing so, however, typically has tax consequences. If you need to take some cash out of your plan, consider doing so in ways that allow you to avoid losing too much to taxes. Employer-based plans come in two types: defined benefit and defined contribution. Defined benefit plans are funded totally by your employer and pay you a specified monthly benefit at retirement based on factors such as your salary, your age and the number of years you worked for the employer. In defined contribution plans such as 401(k)s and 403(b)s, the employer and often employee both contribute, and the retirement benefit is dependent upon the amount of contributions and performance of the investments. Your plan documents specify whether cashing out is allowed. Defined benefit plans are less likely to have a cash-out option, while defined contribution plans often do. Individual retirement plans such as IRAs are under your control and generally can be cashed out. If you have several retirement plans, such as a 401(k), traditional IRA and Roth IRA, cashing out or withdrawing from the Roth IRA is probably the best choice. Because Roth IRA contributions are made after-tax monies, you've already paid some of the tax. If you cash out your 401(k) or 403(b) plan when you leave an employer, the employer will likely withhold 20 percent for taxes before issuing your check. If you cash out an individual retirement plan such as a traditional IRA, you'll have to pay taxes on all of your withdrawal, which could be substantial if the withdrawal is large. In both cases, you'll be subject to a 10 percent early withdrawal penalty if you are younger than age 59 1/2. One alternative to cashing out your 401(k) or 403(b) plan is to borrow from it and pay yourself back without penalty if you still work for the company. The plans aren't required to offer loans, but if they do so, they must charge a reasonable rate of interest and be adequately secured. The maximum amount of the loan is the lesser of 50 percent of your account or $50,000 and must be repaid within five years unless the money is used to buy your principal residence. If you leave the company before the five years, however, you may be required to repay the money immediately. Another way to obtain money from your plan without the early withdrawal penalties is to start an income stream early or to access it in regular payments for at least five years or until you turn 59 1/2, whichever is longer. This is called a 72t, after the section of the IRS tax code that addresses it. Doing this requires some calculations based upon your life expectancy, but your 401(k) or IRA administrator typically can help with these. BankRate.com also offers a calculator. While you'll still have to pay regular taxes, the IRS waives early withdrawal penalties in hardship cases, such as high medical bills, disability or to pay IRS levies. While 401(k) plans aren't required to allow for hardship withdrawals, many do so. Your plan documents will include information on whether hardship withdrawals are allowed and under what circumstances.